the exterior was repainted with a Metal Flake Blue to become the “Tahiti” Marlin. Until now very few people have seen these pictures. I was contacted several years ago thru Ebay by a gentleman that questioned my Ebay name, which by the way is "Marlin-Tahiti". And he wanted to know if my name had anything to do with Tahiti show car. He then went on to tell me when he was a young man growing up in the Chicago area he would go to the auto show every year and that he had some pictures I may be interested in. I had forgotten about these pictures until I was just recently going thru all the documentation that we have with the Tahiti. 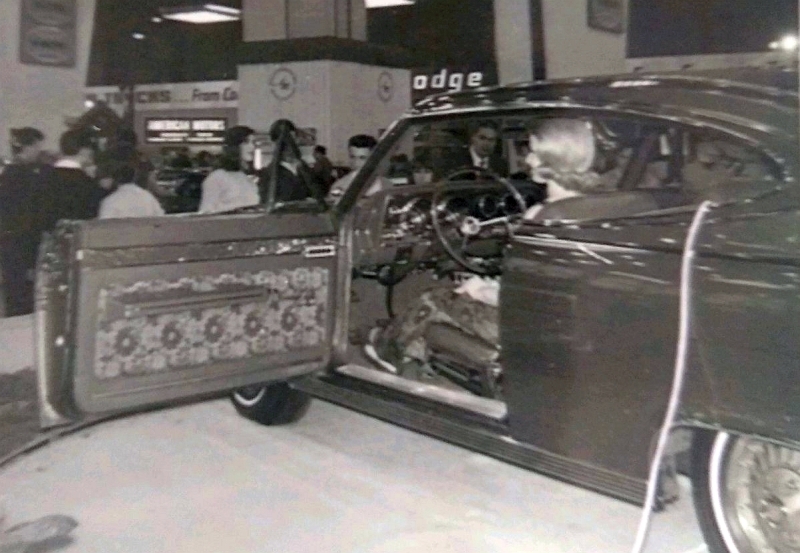 These three pictures were taken during the 65 and 66 Chicago Auto Show. Enjoy!